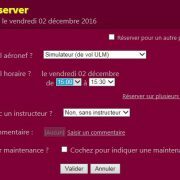 Article de presse édité par le journal « L’Avenir » le 02 février 2017 sur les projets futurs d’Air Evasion, relatant les projets de développement en Asie dans le domaine de la formation et de la simulation. Article appeared in the newspaper « L’Avenir » on 02 Feb 2017 in Belgium. Future of Air Evasion activities. 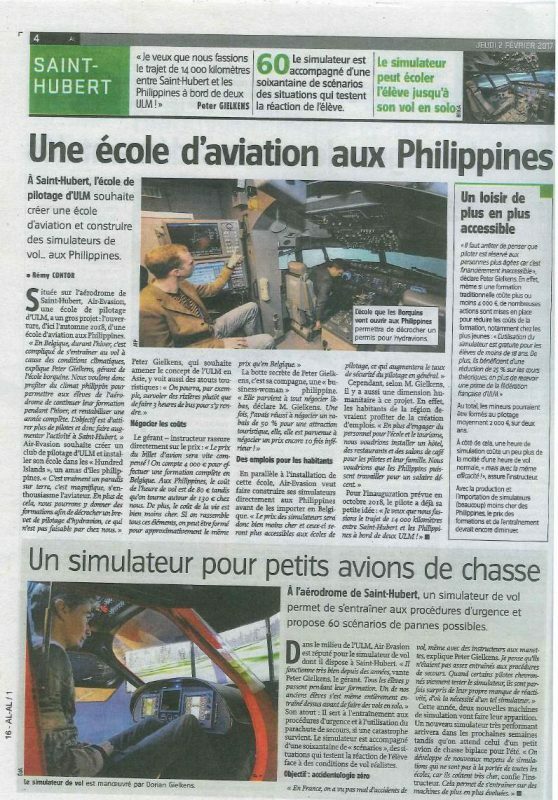 In Saint Hubert (Belgium) the flying school wants to create a flying school and to build simulators in the Philippines(Filipinos). Based in Saint Hubert,Air Evasion’s Aerodrome flying school has a big project. 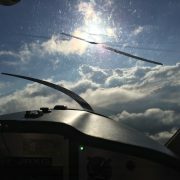 The opening in autumn, 2018 of a flying school in the Philippines. 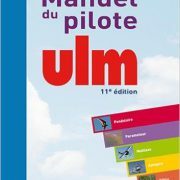 In Belgium, during the winter it is complicated to fly for the planes because of weather conditions, explained Peter Gielkens, director of the school. We thus want to take advantage of the Philippine climate to allow the students of the Belgian school to continue their training(formation) during the hiver. 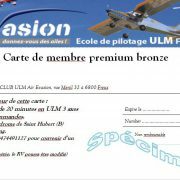 Air Evasion wishes to create a club and to install his school not far from the Hundred Islands. It is really a heaven on Earth, it is magnificent, enthused the airman. 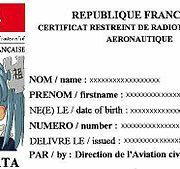 In addition to that we can give our trainees to get their certificate as a pilot of seaplane, which is not feasible in our place here Belgium and North of France. 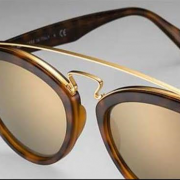 Which wishes to bring the ultra-light concept in Asia, Peter Gielkens also see tourist assets there. We can fly over some rice fields, rather than to make 9 hours of bus to go there. The manager instructor reassures directly on the price. The price of the plane ticket will quickly be compensated. 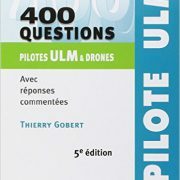 Count 4000 euros for the price of a training in Belgium. In the Philippines the cost of an hour flight will be 80 euros, whereas it costs 130 euros in Belgium. Moreover, the cost of living is much cheaper. 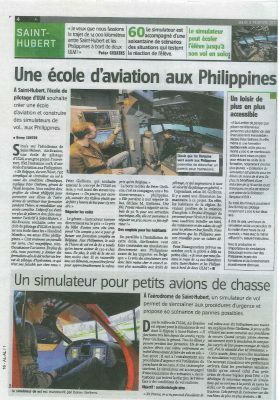 In parallel in the installation of his aviationschool, Air Evasion wants to build his simulators directly in the Philippines before importing them to Belgium. 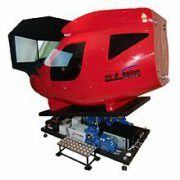 Thus the price of simulators will be much cheaper and these will be more accessible to flying schools. 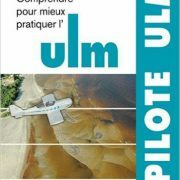 What will increase generally the rate of safety of the flights. However, according to Mr Gielkens, there is also a humanitarian size to this project. Indeed the inhabitants of the region should take advantage of the creation of jobs. Besides committing of the staff for the school and the tourism, we would want to settle a hotel, restaurants, and lounges of coffee shops for the pilots and their families. We would want that the Filipinos work for a decent salary. For the inauguration planned in October, 2018, the pilot already has his small idea.